An overdose on marijuana is dissimilar to overdoses on other drugs because marijuana consumption, in and of itself, is not life-threatening. But using too much of the drug can have hazardous results, which may increase the risk of death. For instance, someone who consumed a lot of marijuana may be unaware of their environment, which can lead to accidents or falls. Furthermore, marijuana intoxication has been linked, in some studies, with psychosis,3 a condition in which the individual is disconnected with reality, typically resulting in hallucinations, delusions, or extreme paranoia. A person who is having a psychotic episode may put him or herself in dangerous situations due to confusion or detachment. Further, some users may intentionally mix marijuana with other drugs to enhance the high. This practice also increases the risk of adverse effects and overdose. Although marijuana overdose symptoms are rare, it is not impossible for people to overdose on the drug. Recognizing signs of abuse could help prevent a marijuana overdose to begin with. Of course, a person doesn’t typically try marijuana for the first time and immediately overdose. Usually, they move from casual marijuana use to marijuana abuse, where they may exhibit addiction-like behaviors around the drug. This is often characterized by compulsive use despite negative consequences and the inability to control their use despite frequent efforts to quit or cut down. Coughing due to lung irritation. Using larger amounts of marijuana than was intended. Spending an inordinate amount of time getting and using marijuana or recovering from intoxication. Strong cravings to use marijuana. Failing to fulfill school, home, or work obligations. Continuing to use marijuana despite harmful consequences, such as interpersonal, psychological, or physical problems. Prioritizing marijuana use over previously enjoyed hobbies and activities. Using marijuana in dangerous situations, such as driving. Requiring increased amounts of marijuana to achieve desired effects. Recognizing these signs of abuse could help prevent a marijuana overdose to begin with. But if it appears you or someone you love has overdosed, immediately getting the right treatment is crucial. 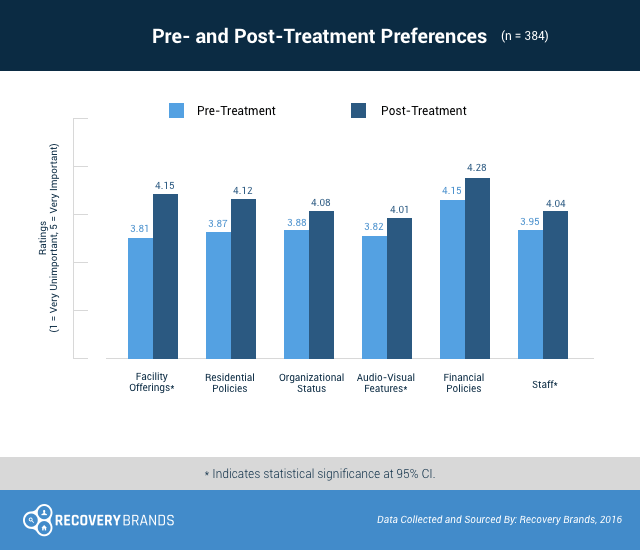 In 2016, Recovery Brands collected data asking people leaving a rehabilitation clinic what center facets they saw as important things to take into account when considering treatment. The highest-rated consideration was the clinic’s payment policies, such as insurance accepted, payment options, and financial support. They also reported valuing facility offerings (amenities, recreational activities, quality of housing) a lot higher upon finishing treatment. If you’re looking for treatment, you should consider a center’s financial practices, as well as its offerings, to inform your final choice. If you suspect someone is overdosing on marijuana, or a combination of marijuana and another drug, call 911 immediately and remain with the person until medical attention arrives. Don’t try to approach or touch the person if they are exhibiting erratic or psychotic behavior, since that may put you in danger, but you may want to attempt to comfort or reassure the person. Overdosing on marijuana may affect a teenager’s mind differently. Research has revealed that high doses of marijuana can lead to an early onset of schizophrenia in adolescents, particularly for those who are genetically predisposed.4 Dual diagnosis treatment, or treatment for co-occurring marijuana addiction and schizophrenia, may be necessary following emergency treatment for the overdose. Detox: If the person suffers from a severe addiction to marijuana, a detox program may be advisable. Detox programs are short-term forms of treatment that assist the person in safely withdrawing from the drug, while also providing medical care and support. Patients often transfer into an inpatient or outpatient program following completion of detox. Inpatient: Inpatient recovery centers require that the patient live at the facility for the duration of the program (usually 30, 60, or 90 days) and provides the person with a combination of individual therapy, group counseling, 24-hour medical and psychiatric care, and relapse prevention education. Outpatient: Outpatient treatment programs provide the patient with the freedom to live at home while still recovering from a marijuana addiction. Therapy services range from 1-hour sessions, 1 to 2 times per week, to several hours a day, 5 days a week. If you or someone you know has overdosed on marijuana or abuses other drugs, finding treatment is very important—begin researching your options today. Center for Substance Abuse Research. (n.d). Marijuana. Drug Enforcement Administration. (n.d.). Drug Fact Sheet: Marijuana. U.S. National Library of Medicine. (2015). Marijuana intoxication. Oregon State University. (2014). The Illegalization of Marijuana: A Brief History.